This is a sonata form that forms the finale of a set of variations so at one level it is a sonata form and at another level it can also be considered a kind of mass variation that resolves the variations that have come before it. Theme 1 is primarily a steady repetition and transformation of a simple cadential turn, as though this entire sonata were going to spin out of what would have been the final cadential gesture of the immediately preceding variation. Haydn, for instance, was fond of opening large-scale forms with what would have been heard at the time as concluding gestures, so it's not a surprise to witness Sor presenting the start of his finale with a phrase that could be considered the finale closing material of the previous variation. Because this movement is in 6/8 and is spritely the melodic and harmonic materials never settle on a cadence that firmly resolves in E minor until the close; each arrival within Theme 1 at what could be a firm cadence is immediately transformed into forward momentum by way of a new or modified statement of the initial gesture. We get an interrupting secondary phrase (gesture 2) and because of the spinning out of the first gesture when gesture 2 reappears it could be easy to hear it as a continuation of Theme 1 even though it turns out to be a modulating transition (labeled as such in green in the visual analysis of page 1). For years I have heard and read the axiom that the guitar is by its nature ill-suited to a musical process as complex as what we call sonata form. This is nonsense. I've been demonstrating that this is nonsense all week but this little exploration of a sonata form in E flat major composed by Sor should really settle the matter forever. Whether we look at this etude through the scholarship of Charles Rosen, or William E. Caplin, or Hepokoski & Darcy this etude in E flat major is a sonata form. It's also beautifully made, I dare say it's the most compelling sonata form Sor ever composed and it is also, fittingly, the most "textbook" of Sor's sonata forms. Why wouldn't it be, nestled so comfortably in the middle of Sor's Op. 29 etudes? I've written about this etude before, but since this week has been devoted to discussing sonata forms in early 19th century guitar literature it's worth writing about again. You'll be able to peruse the score with some in-score commentary after the break. I've discussed Sor's Op. 29 etudes featuring sonata forms in the past, here. But it's worth discussing again. When scholars discuss Sor's sonata forms we tend to read discussions of the usual suspects: Opp 14 and 15, Op. 22 and 25, and Op. 30. That's as we should expect and delineating the types of sonata forms we see in the multi-movement works of Sor has some valuable scholarly work given to us by Rattanai Bampenyou in a 2012 treatise called A Performance Guide to the Multi-Movement Guitar Sonatas of Fernando Sor and Mauro Giuliani. It was through Bampenyou's dissertation I learned of James Hepokoski and Warren Darcy's Elements of Sonata Theory and William E Caplin's Classical Forms, both fantastic scholarly resources that should inspire debate and further research. Hepokoski and Darcy's work has been valuable for giving formal articulation to a structural/formal principle I've noticed in Sor's sonatas over the last six years, that there's what the two authors call a "Type 2" sonata, a sonata in which recapitulation of the exposition materials is incomplete. This is a valuable addition to the conceptual lexicon of musicology because it makes an effort at addressing formal patterns in the music we have instead of imposing a one-size-fits-all post-Beethoven theory of what constitutes a "real" sonata form. I have some issues with the specifics of their description of Type 2 sonata and particularly of their objection to the concept of recapitulation because I think they substantially oversell their idea of "rotation"--rotation is a concept that is valuable as a catalyst for new compositional activity, to be sure, but I hesitate to say that the Hepokoski and Darcy concept of "rotation" will help us understand what they regard as Type 2 sonata forms. In spite of those reservations I believe the basic category of "Type 2" sonatas is valuable and that the most compelling evidence I've seen for it has come from my immersion in the early 19th century solo guitar sonatas composed by Sor, Giuliani, Diabelli, Carulli, Molitor and Matiegka. Up to half of Sor's sonata forms can be described as some kind of "Type 2" approach to sonata form, while Molitor's Op. 7 and the second movement of Matiegka's Grand Sonata II are also explicable as "type 2" sonata movements. A sonata form Sor composed that to date has not been recognized AS a sonata form by much scholarly literature is the Op. 29, etude 5 in C major. Its brevity and invention are such that if you wanted to make a case for a "textbook" Type 2 sonata understandable by guitarists and non-guitarists alike I think Sor's Op. 29, etude 5 may be one of the best candidates to study. As you'll see, Theme 1 is indicated with blue notes while Theme 2 is indicated with green notes..
Sor's Op. 29 etude 5 begins with a perky, marching theme in C major. It's a pretty straightforward tonic-to-dominant four-bar melody answered by another four-bar melody that resolves the eight-measure theme with a simple authentic cadence. This theme is immediately repeated, an octave higher, with a second voice providing a contrapuntal accompaniment. For a brief moment Sor has what sounds like the beginning of a brilliant two-part invention. Since this was the 19th rather than the 18th century that's not where things go (alas, for my interests). But it's sufficient to note here that Sor demonstrated that he could compose and arrange contrapuntal music for solo guitar when he wished to. For the sake of our sonata form analysis it's important to stress that we open with an eight-measure theme that is immediately repeated with a contrapuntal development. The modulating transition begins at the end of the third system and spans 25 measures. That's important to keep in mind in comparison to our eight-measure repeating Theme 1. When Theme 1 is brief and/or has a high level of intra-expositional repetition or expansion of simple thematic gestural cells that can be an indicator that we "may" not get a conventional "full" recapitulation. When Theme 1 material is dwarfed in length by the modulating transition and/or all subsequent material in the exposition that can be another indication (as it is in Diabelli's Op. 29, No. 3 Guitar Sonata in F major) that we're going to get a truncated recapitulation that omits Theme 1. Theme 2 arrives at the start of system 8. It's a jaunty rising-fourth march theme and this 12-bar line resolves into what I call Group 2, a kind of closing/coda phrase that is presented twice, giving Theme 2 an abb structure. Notice that this Theme 2 material is 24 measures long, three times as long as our unadorned theme 1. I can't help but mention how few stylistic adjustments you'd need to make to this sonata by Sor to transform it into ragtime material. There can be a lot of ways in which the stylistic elements of what we recognize in ragtime existed in embryonic form in the music of Sor. That's just me speculating for the sake of future compositions. So we get to Sor's development and he opens with a fun gambit, presenting Theme 1 as a lower-voice subject against which a form of his Theme 2 is presented as a countersubject. We could speculate that the linear trajectory of Theme 2's opening march phrase could be extrapolated from implications in the accompaniment line in Theme 1. It's not as though Haydn weren't known to transform accompaniment patterns in a first theme into the basis for a thematic idea in Theme 2 in any of his sonatas, right? I propose that we can see a comparable creative process afoot in Sor's etude. He shows off his contrapuntal invention at the start of the development by showing how his Theme 1 and Theme 2 can be presented as contrapuntal subject and countersubject and then works to more conventionally guitaristic textures the closer he gets to the recapitulation. We get Theme 2 as the start of a recapitulation. Interestingly, as I've highlighted in notes green and blue, Sor presents the core linear motif of Theme 1 as the bass accompaniment pattern to the presentation of Theme 2 in the recapitulation. We can think of this as Sor deciding that for a short etude he would rather just recapitulate the short Theme 1 at the same time he brought back Theme 2. Seeing as he began the development with a contrapuntal presentation of Theme 1 and theme 2 materials, why not do this to signal the start of the recapitulation? It's known that in sonata forms themes can be reworked and expanded. Sor brings back enough elements of his Theme 1 in the accompaniment patterns for his Theme 2 that he could be said to fulfill the "need" for the recapitulation to have some element of Theme 1. But by making the gestures evocative of Theme 1 contrapuntal support for Theme 2 it can be easy for all but the most alert listeners and score-readers to spot what Sor has done. Remember how we saw that Sor's Group II/Theme 2 material is three times longer than the unadorned Theme 1. Sor working Theme 1 in as contrapuntal support for Theme 2 lets him recapitulate his two ideas simultaneously while subjecting them to new developmental possibilities. It also serves as a fine example of a small scale "Type 2" sonata form for solo guitar. If you wanted a candidate for a "Type 2" sonata that's short this one could work even more effectively than Diabelli's Op. 29, No. 3 sonata. For an ideal case study of a "Type 3" sonata form for solo guitar that can be read through in just two pages we turn to the Op. 29, 10 etude in E flat major, arguably the tightest, most elegant and efficient of Sor's sonata forms. This could be construed as a kind of abstracted hybridization of sonata and rondo forms (nine-part rondo) seeing as how the closing thematic group is in many respects a reprise of the thematic core of the opening theme. It's kind of like an off-kilter nine-part rondo for which the C minor opening sonata form was a big prelude or anacrusis (obviously, since the attaca half cadence is intended to lead into this second sonata form). If the letter designations seem odd at the start of this discussion I'll take some time to explain why I regard the first and third thematic groups as different iterations of the same idea. To best do that we'll get to the details. Of course to get into the details we need to get to the score. As usual ... you may want to collapse the menu options to the side to better look at the musical stuff after the break. Theme 1 is merely eight measures long and leads into a modulating transition in the second half of measure 8. As short as this theme appears to be on the page the Andante Largo tempo has to borne in mind. The harmonic rhythm is explicable in terms of half notes so that one measure of 4/4 at this tempo could cover what would proportionally be two measures of 4/4 in a livelier tempo. With that proviso in mind the first theme is a straightforward call and response. The first phrase starts on the tonic and ends on the dominant, the second phrase starts on the dominant and resolves to the tonic. By beat 2 of measure 8. The spare texture shouldn't dissuade us from affirming that Theme 1 resolves in the first half of measure 8 with an authentic cadence of the sort we would expect in a first theme in a sonata form in the early 19th century. There's no requirement that the authentic cadence be on a downbeat or be a perfect authentic cadence of the cumulative development and resolution of thematic ideas is explicable in such a direct, call and response eight-measure pattern. You'll be able to consult the score below. Theme 1 is a binary form cast in aabb (internal repeats for two eight-measure phrases). The second group begins abruptly in E flat and spans from measures 17 to 59. We're talking about a Group 2 that's quite a bit longer than Group 1 in terms of sheer measures. However, let's recall that by repeating the two halves of Theme 1 that the full playing time for Theme 1 is still 32 measures so the disproportion between Group 1 and Group 2 is not necessarily as great in actual performance as it looks to be on the page. Having written so much about the first movement I'll try to keep things fairly brief here. The most striking aspects of this movement are that we're looking at a slow sonata form but one in which the themes have a binary construction. This is most obvious with Theme 1 but it is also in evidence for Theme 2, aka Group II. The E flat major material can be said to open with an overture gesture before the sequentially developed lyric phrase appears in the fifth system of page 1 (noted in orange). This idea is repeated with embellishments and then presented a third time with more pronounced harmonic movement driving toward a half cadence. Once this half cadence is reached it is prolonged through the entirety of system 7 of page 1 before finally reaching its resolution in system 8. We've been climbing the prestige ladder here in discussing sonatas for solo guitar written by guitarist composers. Anyone familiar with the instrument and its literature would know that Giuliani and Sor would top the list here and they do. We're finally at Sor and it will be fun to discuss his work (even if I actually, personally, prefer Matiegka's approach to sonata form) because extensive English-language scholarly work on Sor's handling of sonata form has been relatively recent. More importantly, I have believed for years that Sor's approach to sonata form has left out two entries in his work I will probably discuss tomorrow (Op. 29 etudes 5 and 10). Today we'll be discussing the Grand Sonatas Op. 22 and Op. 25 and there's a lot we could discuss. The most important and simple thing we'll be looking at is how Sor tends to favor incomplete recapitulation. 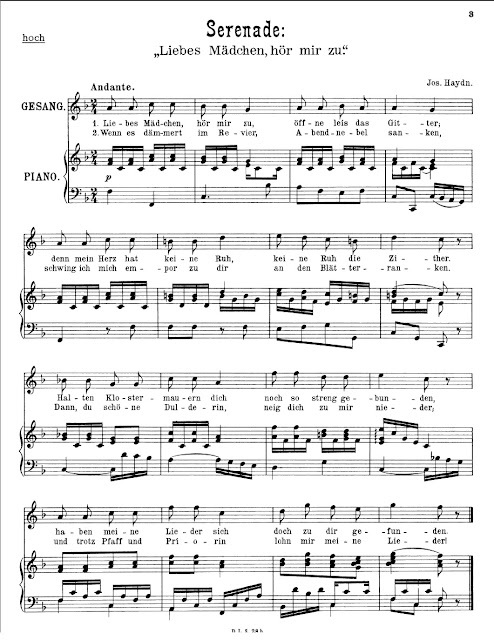 It's been one of the most basic reasons theorists and historians who have tried to grapple with his sonatas have been stymied by the basic question of whether Sor even used sonata form and whether or not, if he did use sonata form, he composed "good" sonata forms. Five years ago when I was steeping myself in the sonatas of Diabelli, Giuliani and Sor I began to realize that they were writing sonata forms but that they habitually declined to write the kinds of "textbook" sonata forms I read about when I was getting an undergraduate degree. Either the textbook paradigm I learned was correct and the guitarist composers were botching sonata form OR the textbook paradigm was for undergraduates only (at best) or even simply wrong (at worst) and this meant I needed to start recalibrating my understanding of sonatas based on the literature. I'd concluded that incomplete recapitulation was normative for solo guitar sonatas before I'd read James Hepokoski and Warren Darcy's Elements of Sonata Theory, which I hadn't read or heard of until this year. Their Type 2 sonata is a concept that retrospectively distilled a lot of observations I'd made in my study of solo guitar sonatas that I had lacked a scholarly nomenclature for. In gratitude for what they've provided by way of their scholarship, I can hope to contribute, as a guitarist, an element to supplement their ideas. Hepokoski and Darcy stated that in the 18th century there would not have been such a thing as sonata forms and that there's somethingan achronistic in the very idea of talking about sonata forms. I'm inclined to agree. My own idiosyncratic take on sonata is that it is, like the fugue before it, a process rather than a fixed form and that how the process plays out depends a great deal on what foundational materials a composer works with and how the composer decides to play with the ideas. ... While music of the Classic period employs plan-based patternings, these are almost always coordinated with and dominated by syntactic scripts. In the nineteenth century, the situation is more or less reversed: what had been specific syntactic scripts tend to be subsumed within or transformed into general plans. [emphasis mine] For instance, from this very broad point of view, the history of the practice and theory of sonata form during the nineteenth century might be interpreted as the transformation of a script--a tonally defined hierarchic schema of slots--into a thematic plan, often of a dialectic or narrative sort (thesis/antithesis --> synthesis; opposition/conflict ---. resolution). [emphasis mine] More generally , as suggested earlier (and argued later), the role of the secondary parameters in the shaping of musical forms and processes becomes increasingly important during the course of the nineteenth century. The forms and processes thus shaped are based on plans, not on scripts. What Meyer observed in very general terms, Hepokoski and Darcy described in more detail, and the latter two went so far as to point out that there was no such thing as sonata form as we understand it as a form (i.e. a thing). There was, instead, a series of prevailing patterns and options. If Meyer's insight was to highlight that the 19th century prescriptive plans were not the same thing as 18th century implicit scripts, Hepokoski and Darcy have provided us, in their Types 1 through 5 sonata options, a range of scripts. But they have provided us with a range of scripts regarding tonal hierarchies. What can also be added is a general observation about developmental/linear processes. I would suggest that if we approach sonatas as though they were scripts (per Meyer) and that they played the role in homophonic tonal music that was previously played, so to speak, by the fugue, then we can have composers who may frontload a lot of their developmental exploration of ideas into their expositions to a degree where they feel no obligations, within the constraints of a "script" based approach to what we now call the sonata form, to "stick to the plan". If the composer and audience share comparable knowledge of the "script" approach a whole lot about a "plan" based approach could be ignored (because that conception of what we now call sonata form, with all its dialectic/Hegelian expectations (or "baggage") had not been saddled onto what is now called sonata form yet. Hepokoski and Darcy proposed that composers and audiences alike would share a set of expectations and conventions that could be rewarded or subverted or delayed by composers. If one of the expectations of the "script" of what we now call a sonata was not just the expectation that certain things might happen in certain keys but that any number of developmental procedures could happen anywhere along the way, then if the script-based goal of expanding a set of ideas were met in one area it would not be necessary to fulfill that goal in some other area. To put it in practical terms, if Sor fulfilled the script-goal of developing his key ideas within the exposition he might feel less obliged to "follow the rules" of what would be 19th century "plan" thinking about sonatas. Another way to formulate all of this in a simple question is whether or not Sor could have "broken the rules" of a sonata form that Anton Reicha hadn't formally codified yet? Lars Rosvoll wrote a dissertation "FERNANDO SOR’S EVOLUTION AS A PERFORMER AND COMPOSER AS REFLECTED IN THE REVISIONS OF THE GRANDE SONATE, OP. 22" (2012) and mentioned that an early version of what is now Op. 22 was in progress as early as 1803 as El Merito. The work, as Rosvoll explained it in the aforementioned treatise, was eventually published as Grand Sonata Op.22 in 1825. By Rosvoll's account none of Sor's revisions entailed changes in form. It's with all that in mind that I plan to discuss Sor's Op. 22, below the break. It would be tough to find a sonata form for solo guitar bigger and grander than Giuliani's Op. 150. They do exist but not everyone would necessarily find them as grand or charming as Giuliani's Gran Sonata Eroica. You can give it a listen first if you don't already know this piece and/or you can read the analysis after the break. Since others have discussed Giuliani's Op. 15 well enough elsewhere we'll go for the later sonata forms. This slow movement is, essentially, a sonata form. It may not seem like a sonata form at first hearing or at first glance, but I think a case can be made that it is, in fact, a sonata form. A few observations to this end can be drawn from William E Caplin's book Classical Form (Oxford University Press, 1998, ISBN 978-0-19-510480-6, PAGE 209)--in slow sonata forms we can observe that the subordinate theme and transition are fused together; that the transition itself can be omitted altogether; or that the development section of a slow sonata is significantly curtailed. These will be matters to keep in mind when looking at this slow movement in Matiegka's Grand Sonata II. So we start with a somber A minor theme that is eight measures long but that repeats its closing two-measure cadential formula three times before full resolution on the tonic at measure 14. As soon as this arrival point is attained we're given a new theme, Theme 2, in C major. This is a nine-measure theme that ends on an unresolved half cadence. While some have proposed that an exposition can't end unless we arrive at a strong cadence on the tonic within the exposition, it seems best to propose that the end of the exposition is elided into the start of the development because, at measure 24, we see Theme 1 appear in C major. So we'll identify the start of the development section as the appearance of Theme 1 in C major. It receives an embellishing developmental episode and arrives at a firm cadence in measure 30 that wraps of Theme 1 in the new key. But this cadential resolution elides into another sequence of Theme 1 material in the key of F major. Starting at measure 33 the neapolitan/dominant/submediant cadential formula introduced in Theme 1 in the exposition is given a sequential development. This leads to a tonic pedal point passage in the original A minor key that prepares another false recapitulation, with Theme 1 appearing in D minor briefly before the initial phrases from A minor return in their original key. The cadential turn from Theme 1 is given some more ornamental expansion in measures 45-48 where a fermata is reached. At no point has Theme 1 been subjected to what we would call a recapitulation, just continual development. It is at measure 49 that Theme 2 is recapitulated, in A major. There are a few adjustments, noted in the visual analysis pages, that we won't get into in detail here. It's sufficient to observe that Theme 2 returns in the recapitulation but that Theme 1 does not. As noted regarding the first movement, when Them 1 material is given an extensive development and/or has a high level of intra expositional repetition (i.e. the cadential phrase that's repeated three times before Theme 1 is finished) we can tend to see Matiegka resorting to developmental expansions that preclude a full recapitulation of Theme 1. Theme 2, meanwhile, is brought back in A major, the parallel major mode of the tonic, and recomposed slightly but given an emphatic arrival. Having proposed that Matiegka derived his Theme 1 from his Theme 2, and that his Theme 2 is indebted to Haydn, we can get to the development (which will include the coda from the exposition). It's very important to note that Matiegka calls for a repeating exposition. Remember what we discussed earlier in this series about how an incomplete recapitulation may be informed by things like high intra-expositional development, and that when this happens in the context of a repeating exposition we may find "redundant" content sliced out? That's going to be borne out in this sonata form, too. The exposition ends robustly in the key of E major and the development starts with a C dominant seventh that takes us into F major for the start of the development process. The Theme 1 derived material is quickly followed by a development of the Theme 2 material. This is followed by a call-and-response passage in D minor drawn from the Part 2 material of Theme 1. Next Matiegka uses the florid sextuplet transitional passage as the basis for continuing the development. You'll be able to see all this after the break. and a theme Matiegka included in his Grand Sonata I, movement 1.
was the recapitulation form of the theme. It's also observably derivable from a secondary theme in a sonata form in a Haydn Piano Trio, quoted in the last post. Take a look at the linear movement in measure 2 in the example above. E F# G# A F# E. One of the things composers can do is invent a new theme based on a drastic rhythmic or metric alteration of a melodic line while retaining the essential linear pattern. Now (after the break), let's take a look at page 1 of the first movement. As usual, you might want to collapse all the menu stuff on the side for easier reading. since you might not have a recorded performance of the sonata at the ready. Wenzel Matiegka's Grand Sonata II: preliminary discussion of Matiegka's use of Haydn's themes. For those who are already familiar with Matiegka's Grand Sonata II you may know that the finale is a bravura set of variations on Haydn's setting of "Liebes Madchen, hor mir zu" (pardon the lack of proper modifiers to the German alphabet there). This is a particularly cheeky lied in which the singer is a man who has headed out to a convent to serenade a maiden he regards as too beautiful to be confined to a convent, serenading her on his zither and requesting the more or less stereotypical reward for his efforts. The Haydn lied ... with help from IMSLP. Matiegka unsurprisingly transposed the theme from F major to A major. He also split the lied in half with internal repetitions for the two halves as the basis for the presentation of the theme and all subsequent variations. This is worth mentioning because while in the finale Matiegka's tribute to Haydn is explicit and mentions which Haydn lied he composed variations on, the first movement features a less obvious and far less obviously cited artistic homage to Haydn. It may be easier to present the Haydn material first so that as we go through the Matiegka sonata we can have fewer digressions. You'll be able to see the additional score examples after the break. Along the way this post will go through the entirety of the first movement of Matiegka's Grand Sonata I, 1 and will include a cadenza composed by ... somebody. This is one of my favorite sonatas and it might be evidence enough for readers to see that I put together an edition of this sonata that includes a composed cadenza. This was work I'd largely done last year and it was a lot of fun to do but it was also a lot of work. I like this sonata and I feel it could be better represented in the repertoire and that Matiegka's approach to sonata form deserves more attention from guitarists. Sure, the guitarists already familiar with Matiegka's work probably don't need to be told this, but there's a point at which Sor and Giuliani can be ever so slightly overplayed. :) Matiegka may not rise to the heights of Sor or Giuliani at their best but I would suggest in a moment of blatant advocacy, neither could we say that Matiegka was apt to the kind of hackwork that has been characteristic of Diabelli in popular recollection. Matiegka's Grand Sonata I was first published in 1808 and is one of my favorites of the early 19th century guitar sonatas. While the historical and textual case for Matiegka's debt to Haydn could be made on the basis of his Op. 23 sonata alone (which opens with a guitar transcription of the finale from Haydn's B minor piano sonata), the larger case for the extent to which Matiegka appropriated and developed ideas that can be traced to Haydn's work is more readily fleshed out in a pending discussion of Grand Sonata II. Grand Sonata I is, by far, the better represented of the two grand sonatas in terms of commercial recordings and, of late, a print edition. I've retained that contested G sharp note in the transition that has been omitted in some performances and a print edition. I've also added a potentially redundant sharp for an A sharp in the transition you'll get to see soon enough. This sonata is a lively one and one that has a symphonic scope that is only surpassed, in my personal assessment, by the Grand Sonatas of Sor. But if Sor is the Beethoven of the guitar, Matiegka is its Haydn, and both Grand Sonatas are works I've come back to and enjoy listening to. I know that people who don't like Matiegka will probably not be won over to the charms of his music or even believe that Matiegka is, as a composer working within sonata form to develop themes within and across large-scale forms, surpassed Sor. Sor's reputation is too fixed in the guitarist pantheon for Matiegka's reputation to rise and Matiegka's easily traceable debt to Haydn or Molitor makes him far less of a stand-out genius sort. But guitarists should familiarize themselves with Matiegka's work simply because his mastery of sonata form was considerable. His flexibility of approach to sonata forms is comparable to Sor's but, unlike Sor, Matiegka tends to have substantial development sections. Perhaps unlike Sor, Matiegka was flamboyant in quotation and transformation of other composers' tunes, particularly Haydn. In the Grand Sonata I we get a short but still fairly obvious allusion to Mozart's Eine Kleine Nachtmusik. It's not directly quoted but the linear patternin the melody Matiegka uses and particularly the rhythmic contour of phrase 3 make the allusion seem pretty obvious. You can see for yourself after the break (though you may want to collapse all the menus on the side first. The development section begins with embellishments derived from the modulating transition. Eventually we get to material in G minor derived from Theme 1. The development, not particularly long, draws most from Theme 1 and the modulating transition before preparing the recapitulation section. Now it is at the recapitulation that we observe Theme 1 is not brought back. Instead we get Theme 2, which is presented in the key of A major. Modal mutation into the parallel key for a recapitulation has been a well-known option for a sonata form since, obviously, Haydn and Beethoven. What makes this recapitulation slightly unusual is how Molitor brings back Theme 2 and Theme 3 without bringing back Theme 1. Of course, this is something we can see in a far more famous sonata, Chopin's Sonata in B flat minor. What I propose for both case studies of sonata form is that if a Theme 1 is unusually short in actual length or in terms of the material developed (certainly the case with Chopin, not with Molitor, where their respective Theme 1 materials go), this can be a sign that the material will not be brought back in the recapitulation. It "may" happen, but it's not unreasonable or even an unusual deviation from sonata forms if Theme 1 doesn't come back. This can be particularly the case in sonata forms where there are explicit repeats of the exposition. Chopin's sonata is the more durable and well-known case study but for Chopin's sonata and to a lesser extent for Molitor's Op. 7 what we see at work is a good deal of intra-expositional expansion for Theme 1 materials. The core of Molitor's Theme 1 is, after all, a mere six notes. Chopins Theme 1 in his B flat minor sonata is explicable as merely three. In Molitor's Op. 7 we have a short Theme 1 and a transition that constitute the foundation of the development section and so Molitor's recapitulation can be taken as not beginning until Themes 2 and 3 come back in the tonic key, which they do. Guitar sonata movements in which Theme 1 is omitted in the recapitulation are actually pretty common. Molitor has this kind of sonata form in his Op. 7 but comparable examples can be found in the second movement of Matiegka's Grand Sonata II, Sor's Op. 22 and Op. 25 and also in Giuliani's Op. 150. Another example is Diabelli's Op.29 Sonata 3 in F major. We'll get to those in other spaces but it's worth noting that the previously mentioned patterns of heavy intra-expositional development of Theme 1 material (and/or the extreme brevity of said material) is a recurring pattern in these sonata forms that fail to recapitulate Theme 1 material. We're particularly going to see this pattern emerge in the Grand Sonatas of Sor that we'll discuss a bit later. In fact this pattern of introducing first theme material that isn't brought back in the recapitulation is sufficiently common in early 19th century guitar sonatas it invites the question of whether Chopin's practice of the incomplete recapitulation was as unusual as some music historians have suggested it was. 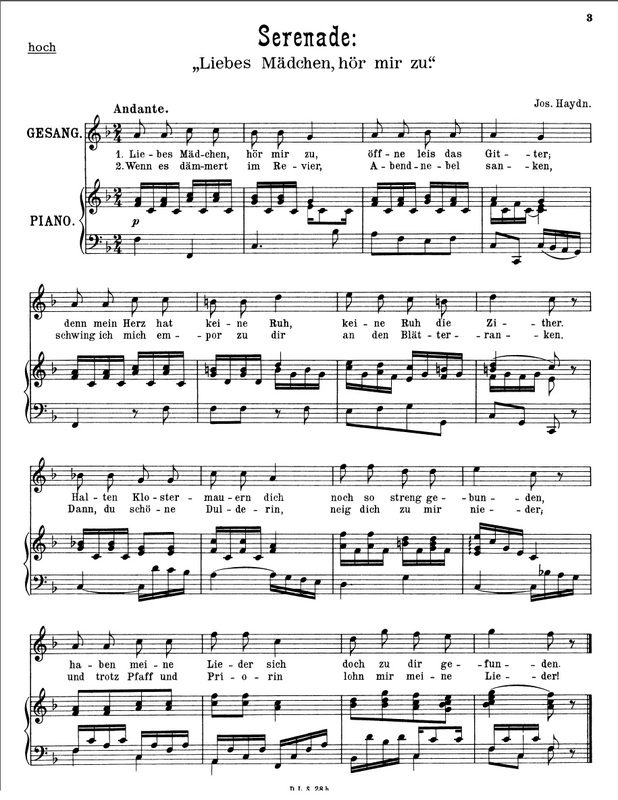 It may have been a sonata form regarded as a "lower level default" in the language of Hepokoski and Darcy, but it would not have been classifiable as a genuinely "abnormal" option for a sonata movement. Simon Molitor's Op. 7 Grand Sonata, first movement. At the risk of being every so slightly lazy I'm not bothering to analyze the introduction. It's an introduction and so it does what it's supposed to do. Instead I mean to discuss the exposition, development and recapitulation of Molitor's Op. 7 guitar sonata. Theme 1 begins two four-measure phrases, the second of which elides into what I've labeled Phrase 2, a cadential evasion phrase that is repeated before finally arriving at a tonic key authentic cadence in A minor. This three-times repetition of a thwarted cadential resolution that finally arrives at A minor is something we'll see in the slow movement of Matiegka's Grand Sonata II, movement 2 but it's something we see here in the fast sonata form Molitor presents in his Op. 7 as well. The transition begins as soon as the first authentic cadence in the tonic key is established (highlighted in green) The sixteenth note descending half-wedge motiff alternating after jumping eight-note bass riffs sums up the core of the transition. This outward expansion/alternation from a fixed tone foreshadows the thematic core of Theme 2 (and we can think of Theme 2 through the close of the exposition as the Second Group). If the opening short theme was typified by descending gestures Theme 2 is characterized by more complex phase groups. Phrase 1a and Phrase 2 present half cadence endings, followed by a return of Phrase 1a that establishes an authentic cadence in C major. The end of Theme 2 is elided into the start of Theme 3 (aka the closing theme), which extends the idea of the repeated note as the basis for a theme even further and deploys chromatic descent as a way to add an additional element of contrast to the predominantly diatonic themes in Theme 1 and Theme 2. Theme 3 is also quite long and can be broken into two parts. The first part is the aforementioned chromatic descent theme while the second part is an obviously cadential set of turns of phrase that bring the exposition to a close, before the exposition repeats and before the development proper begins. Something worth noting this far is that Theme 1, even when we include the three statements of its cadential formula, is twelve measures long. The modulating transition is twelve measures long. Theme 2 is sixteen and a half measures long, while Theme 3 (in its two halves) is twenty-two measures. So Themes 2 and 3 altogether are about three times as long as Theme 1 and that's IF we count repetition of the cadential formula as an inherently necessary part of Theme 1. If we regard the repeating cadential turns as an extension that does not necessarily reflect any "essential" core of Theme 1 then Theme 1 is a mere fraction of the size of Themes 2 and 3. This drastic difference in proportional length (and the corresponding repetition of the exposition) highlights a pattern I proposed at the beginning may be relevant to whether or not a sonata will have a truncated recapitulation that omits Group I material, the presence of a Theme 1 that is significantly shorter than Themes 2 and/or 3 together. Having written all that, you can peruse the score for yourself. The exposition can be read below the break. This is the most ambitious and effective of Diabelli's Op. 29 guitar sonatas. It also threw me off when I was studying it because it's the best example of an exposition that presents a Theme 1 that never comes back in the recapitulation. Of course it didn't take long to notice that if your Theme 1 is a mere ten seconds long DO you bring it back? Theme 1 spans the mere space between 0:14 and 0:24 in Dylla's performance. In the score we're talking about a theme that is no more than eight measures long and, right away, moves to a transition. For months as I listened to and studied this piece I struggled to shake the idea that Theme 1 somehow included everything after those opening eight bars. Yet by 0:38 we're clearly setting up a dominant pedal for the arrival of Theme 2, which arrives at 0:46 and totally sounds like it's really Theme 2. Diabelli runs with a Group II in the dominant key that features a fulsome Theme 2 and a long Coda. Theme 2 comes back to start the recapitulation process at 5:05 in the video (measure 72 in the score). Everything in the exposition forward of Theme 2 comes back more or less on schedule in the recapitulation but we never get Theme 1. If in the case of Sor's Grand Sonatas we saw that heavy intra-expositional repetition and development was a potential reason Sor resorted to truncated or recomposed recapitulation, in the case of Diabelli's Op. 29 No. 3 sonata, the most plausible reason we have for his truncated recapitulation is simply the brevity of his opening theme. If you don't bring back Theme 1 because it was played twice across the repeated exposition and was the basis for most of the development section then you could just go into Theme 2 and recapitulation the dominant key material only from the exposition. Charles Rosen observed decades ago that this would "count" as a proper recapitulation in sonata forms from the period and it seems as if Diabelli agreed! I would propose, to keep my discussion of this sonata brief, that the best case study of a "Type 2" sonata for guitar would be Diabelli's Op. 29, No. 3 in F major. It also happens to be the best thing Diabelli wrote for the guitar that I've ever heard. This could be the one sonata Diabelli wrote that briefly lifted him beyond the designation of "hack" he's been saddled with (and not without cause!) by so many music historians. Diego Milanese does some fine work on Matiegka's Op. 23 guitar sonata, by the way, but we're discussing Diabelli here so that's just a passing comment for folks interested in listening to more early 19th century guitar sonatas. Diabelli's opens this bright and glittery sonata with a descending major scale that's reminded me of a similar descending scale-line in a B flat major piano sonata by Haydn. We get the tonic scale-run, and then we get the dominant scale-run. This is another case where the theme is, to my ears, two-thirds of the way to being ragtime material. There are some fun, almost Giuliani-worthy tunes in this sonata movement. Theme 1 and the transition are moderately easy to hear for what they are. Theme 2 shows up at 0:53 in the performance linked to above, and it's at measure 28 in the score marked "dolce". Diabelli's Theme 2 begins in C major, the flattened mediant key of A major. Diabelli's harmonic sleights of hand from C major to E minor are what jump out in this new section. He starts each phrase of Theme 2 in C major but twists his melodic and harmonic movement into a phrase ending first on E minor in the first phrase and then on E major in the second phrase. It's at the end of this second phrase that, so to speak, the joke is over and Diabelli firmly plants us in E major and runs in that key to the end of the exposition. There's a lot of fun riffs and thematic ideas in the Op. 29, No. 2 as a whole and they could sound really fun if recomposed in a ragtime style. Someone may have even done that [https://www.youtube.com/watch?v=Sl5xVO0hYMU] but we've already got stories about another composer proposing that you could do interesting things with Diabelli's not necessarily inspired ideas, don't we? Some of Diabelli's ideas really were inspired, I think, he just may have been too mercenary or lazy to give them the attention they deserved or develop them in a way that went beyond the routine. But I digress. I'm actually more fond of Diabelli's guitar sonatas on several points than I am of Sor's. For instance, Diabelli wrote development sections where things actually develop. This is a point that may seem pedestrian but not all guitarist composers from the early 19th century put much effort into their development sections. Sor was notably terse in his development sections but his development sections don't infuriate me and the development sections in Carulli's Op. 21 sonatas drive me up the wall. Carulli's expositions and recapitulations in the Op. 21 sonatas are memorable and even charming but his development sections are placeholders, often of such a mechanical and pedestrian sort as to make Diabelli sound seriously committed to developing his ideas in the Op. 29 sonatas even if he avails himself of shortcuts in his expositions. The development starts about 3:40 and it starts off with a kind of minor-key vocal warm-up riff that becomes the basis of the development as a whole. It's a kind of intervallic mutation of the opening gesture from Theme 1. When I say Diabelli develops his ideas this doesn't always mean he develops them in the most inspired possible ways. The scale-work here is often pedestrian and he livens up the development by introducing stretto as the development stands on the dominant pedal moving toward the recapitulation. But Diabelli nevertheless starts with ideas in his exposition and subjects them to development. He doesn't develop his ideas in intra-expositional expansion the way Sor does, nor does he weave ideas across his longer forms with systemic development the way Matiegka does, but Diabelli does, at least, develop his ideas. He reaches a perhaps uncharacteristic pinnacle of his compositional craft in the Op. 29 No. 3 sonata and we'll get to that. For this A major sonata the development is a development but a somewhat pedestrian one. There's no development of the most compelling and memorable idea in the entire exposition, the surreal mediant-shifting phrases that opened up Theme 2. Diabelli gets us to his recapitulation at 5:00 and it's a proper recapitulation. Everything comes back in the appropriate key, the tonic key. This is a substantially stronger opening sonata form than what Diabelli gave us in the C major sonata. We even get a minor mode mutation in the non-modulating transition. Theme 2 comes back beginning on an F major chord that leads to A minor in phrase 1 and leads into A major at the end of Phrase 2, giving us a clean and glittering coda that rounds of the sonata movement. The exposition and recapitulation here are memorable and charming, marred by a pedestrian development section. Then again, of the guitarist composers from the early 19th century Giuliani and Matiegka seem to have been the two guitarists committed to making development sections that were more than just "wait until the recapitulation" prep moments. Diabelli's best sonata in his Op. 29 set is easily the third, in F major, and we'll turn to that one presently. This is the first and weakest of the three Op. 29 sonatas for solo guitar composed by Diabelli. The first movement may provide the simplest evidence for my assertion. Movements two through four are solidly made (rounded binary, menuet and rondo forms) but the opening sonata sticks out like a sore thumb. It's on the basis of the opening sonata form that I regard this as the weakest of the three guitar sonatas but it may be a useful case study through which to demonstrate that even in the early 19th century it was well within compositional norms to have a sonata form with a Theme 1 in an exposition that never comes back in the recapitulation. The fact that Diabelli botched this where Chopin didn't shouldn't distract us from the fact that if both Diabelli and Chopin tried their hands at this approach to sonata form that it may not have been as non-normative as would later be implied by the prescriptions of books promulgating ideas about what sonatas should be. One of the expectations in a sonata exposition in a traditionally tonal sonata is that we will hear a cadence of some kind that confirms we've arrived at the end of the first theme or thematic group. Often we can expect this to be an authentic cadence. If we get a half cadence, as we famously do at the end of the first theme in Beethoven's Fifth, we expect to hear something come afterward that signals we are moving forward to the next thematic idea. Well, Diabelli didn't do that. He sets up an eight-measure theme that ends on a half cadence that sounds like it might be the first half of a parallel periodic theme. But instead of completing the periodic structure moving forward from the half cadence in measure 10 he jumps straight into what turns out to be not a modulating transition but his actual Theme 2. I kept wondering the first few times I listened to this sonata and read through the score whether I was hearing and looking at a modulating transition or Diabelli REALLY intended this new idea in which a G major chord moves to an E major chord that moves to A minor and D major and began to prepare an authentic cadence in G major was NOT modulating transition material but, in fact, Theme 2. The material from measures 11 through the end of the exposition (up to the repeat sign) really are Theme 2 or the Group II material in this exposition. It took me poring over the score to see how the Group II material is recapitulated starting at measure 43 to the end of the movement in order to recognize that Diabelli composed a truncated recapitulation in which he omits his Theme 1 material. But I couldn't recognize this the first half-dozen times I listened to and read through the piece, score in hand, because in harmonic/linear terms Diabelli's Theme 1 was never more than the first half of a theme, a theme he never actually completed. And coming to the realization that Theme 2 arrives with no preparation and no modulating transition made it tougher to recognize that it and the closing theme/coda material were part of a sonata form--I had to study the sonata for quite some time before I began to recognize how it was a sonata but recognizing it on a sonata hinged on my recognizing that Diabelli did two very basic things in this that made it impossible to recognize as a sonata form based on three traditional textbook assumptions. NONE of these assumptions apply to Diabelli's Op. 29, No. 1. Now I'm perfectly willing to say this makes the sonata movement in the work a WEAK sonata but it helped me to discover that the gap between textbook prescriptions about what a sonata form even IS and what it can be observed to be in the actual literature for the guitar can be large. I began to conclude over the last five years that it made more sense to continually modify my understanding of what counted as a sonata form and what "ought" to happen by what composers actually did in 18th and early 19th century music rather than stick to what post-19th century theoreticians said made for a sonata form. Diabelli, it must be said, isn't the only guitarist composer who availed himself of the shortcut of playing what feels like half of a first theme whose half-cadence leads to a transition into a Theme 2 in the dominant key. Francois (aka Francesco) Molino also does this in his Op. 6 guitar sonata No.1, for instance, and you can hear a performance of the work over here . But where Molino does his bait and switch in transforming the second half of his Theme 1 material into a modulating transition into his Theme 2 he does us the favor introducing Theme 2 in the bass strings. Theme 1=treble melody, Theme 2=bass melody is a nice, direct way of signaling that we've got ourselves a sonata exposition even if it could be argued Molino took a shortcut by not "finishing" his Theme 1. But Molino does in his Op. 6 guitar sonatas what Diabelli did not do in his Op. 29, No. 1 guitar sonata, present our ears with a strong delineation of thematic groups inside a short exposition. To a lesser extent Molitor ends his Op. 12 guitar sonata with such a weak authentic cadence on measure 8 of his first theme that his swift move to modulate to Theme 2 sounded for months like it, too, was a case of not really finishing his Theme 1 before trying to get to Theme 2. This impression was also heavily reinforced for me by Molitor's use of a dominant pedal point in the new key (G major) that kept sounding to me like he was setting up the dominant of the dominant to usher in Theme 2. That might have been a reasonable expectation for someone immersed in sonata forms by Haydn, Beethoven or Mozart, but for guitar sonatas this misled me. I didn't realize that Molitor was pretty confident his auditor would here Theme 2 as the Theme 2 it can be identified as being in the score ... but not necessarily to a 21st century ear. But even compared to Molitor's Op. 12 or Molino's Op. 6, No. 1 what Sor did seems sloppy. Molino and Molitor made a point of recapitulating their Theme 1 materials and led them through to some logical conclusions, something Diabelli didn't do in his Op. 29, No. 1. The blunt and colloquial take-away from all this is that if we wanted an example of why a composer like Beethoven might have regarded Diabelli as a mediocre hack this would be a work that could be provided as evidence for that judgment. Fortunately, the No. 2 and No. 3 guitar sonatas have stronger sonata forms. The two books are treasure troves of study for 18th century sonata forms and they have different strengths and weaknesses. The strength of the Caplin book is that Caplin explored each level of formal development in a sonata form; whether it's the four to eight-measure sentence or period, or compound thematic modules at the lower level; or ranging up to the highest intra-movement and multi-movement cyclical patterns. The weakness is that such a general survey of music can skip over interesting details such as variants of forms. Hepokoski and Darcy's book excels at defining variants of forms and they list no less than five types of sonata forms. They also propose a very flexible and accommodating theory of sonata form that proposes two levels of formal thought, the level of expositional delineation of thematic relationships within a tonal hierarchy on the one hand and a formal concept of rotational presentation on the other. The weakness is the book mires in minutiae about half the time and I'm not convinced, valuable the concept of "rotation" really is, that it should be adhered to very strictly. The concept of rotation asserts that themes WILL appear in an exposition or a recapitulation or even a development in pretty much the same basic order. Theme 1 will appear in the exposition and the recapitulation BEFORE Theme 2 rather than after, otherwise your coda isn't a shuffled placement for Theme 1 if you have Theme 1 following Theme 2, you have a Theme 1-based coda. That seems pedantic. In saying it's pedantic I'm NOT saying it's actually a bad idea. In fact the concept of rotation is a fantastic idea for analyzing sonata forms that are not in anything like a traditional or conventional tonal idiom. You need this concept of rotation if you're going to recognize that there's actually a sonata form in the first movement of Guitar Sonata No. 2 by Dusan Bogdanovic. The concept of "rotation" allows for the possibilities that themes can get exposed, developed and recapitulated in their order of "rotation" whether or not we're ever in an identifiable key. The trouble is that in their commitment to the concept of "rotation" Hepokoski and Darcy commit to the assertion that if you have a recapitulation in which Group II (i.e. anything from the theme in the new key region to the end of the exposition, "Group II" is my ad hoc term for what they describe as S-C spaces) cannot count as genuine recapitulation. I find the forcefulness of this assertion ridiculous for several reasons. The first is that I don't think Charles Rosen was at all wrong to say that so long as you recapitulate into the tonic key whatever was in the dominant/non-tonic key from your exposition you fulfilled the requirements of a recapitulation in a sonata form. That general axiom holds up. Secondly, and more importantly, Rosen's observation makes plenty of sense of what I was finding was actually the case in about half of the sonata forms written by guitarist composers I was studying. Sor, in particular, seemed blissfully unconcerned with any concept of "rotation" in his sonata forms. While Hepokoski & Darcy's taxonomy of what they call a "Type 2" sonata is fantastic in principle, and it can make a lot of sense of sonatas by Molitor, Matiegka and Sor, it is most helpful as a very basic guiding principle. Ironically, I'd say that in Hepokoski & Darcy's aversion to tackling more complex "Type 2" sonatas they may have fallen short of explaining how effective and relevant their scholarly term is. I've been incubating a project for years, without having been familiar with their work, in which I've intended to demonstrate that incomplete recapitulations (ones that omit Theme 1 expository material) is practically co-equal to the most "textbook" approach to sonatas written for the guitar by guitarists. This gets me to a second part of my second issue with Hepokoski & Darcy's taxonomy of the "Type 2", it focuses on defending the viability of the concept at the expense of considering other formal processes that could either account for the possibility that we'll be going through a Type 2 or, speaking as a composer, attempt to explain WHY a Type 2 sonata might be chosen. Sor, in particular, provides us with sonata forms in which all four of these observations apply. Three of these four can be applied to the first movement of Chopin's B flat minor piano sonata, for instance. What both the Caplin book and the Hepokosk & Darcy book argue for is building our understanding of 18th century music in terms of the actual literature, rather than being constrained by the conceptual or theoretical concerns of 19th century Germans in the thrall of Beethoven. Considering how the pioneering guitarist composers tended to be Spanish, Italian or Bohemian this could be particularly wise counsel in analyzing the solo guitar sonatas of composers who did a lot of composing before German idealism and the Romantic era as we know it took shape and became a scholastic canon. There won't be any musical analysis involving scores since none of the Op. 29 sonatas have been made public domain in digital form. I've relied on Anthony Glise's edition for study purposes so if you're fortunate enough to have that, great. This work IS available at IMSLP and I've relied on a public domain fascimile of an early print edition that's public domain. These will feature somewhat detailed score analysis based on scores I've made from old Boije plates that were available via IMSLP and elsewhere up until a year or so ago. I had intended to blog about these sonatas in particular back in 2011 but things happen. Nevertheless, I've managed to create some detailed score analysis for these works and Matiegka's approach to sonata forms has not received much scholarly attention in the English language. I hope to rectify that as this series of posts moves forward. I'm skipping Op. 15 because there's plenty of writing done about that sonata and because my primary aim with respect to Giuliani is to highlight how in the later opus numbers we can see that Giuliani used truncated recapitulation as an approach to a large-scale sonata form. I intend to demonstrate that in the case of Op. 150 the brevity of the first theme and the extensive repetition of subsequent thematic cells helps to explain why Giuliani deployed a truncated recapitulation in what may be his largest-scale solo sonata form. I am convinced after years of studying Sor's work that the Op. 29 sonata forms in the etude set have not been identified as the sonatas they really are. The C major etude is easily shown to be a sonata form based on the concept of recapitulation articulated by Charles Rosen. The advent of Hepokoski & Darcy's Type 2 sonata makes it seem necessary to argue that Sor's Op. 29, 5 etude would be an ideal "textbook" case study demonstrating that Type 2 was a "normal" option for composers and how it worked in a small, easily learned example. The E flat major etude is also a sonata, and of a more traditional "textbook" kind. Finally, I considered adding Carulli's work to this survey but opted against doing so because his approach to sonata exposition and recapitulation is sufficiently "textbook" to permit passing over his work for this survey. I also honestly don't like his development sections. I had intended to study more Molitor and particularly more Matiegka but as critical editions of these composers' works may be in the making it seemed better to err on the side of catalyzing a potential future scholarly discussion relying on works that I know have been safely in the public domain and/or relying on arrangements of works that I've done myself based on public domain material. I even considered expanding this survey to include 20th century guitar sonatas but that would have been a truly time-consuming project. This has been a lot of work done in my spare time as it is. A few final thoughts seem in order about sonata forms as a whole. Over the last century there have been any number of claims made about the sonata, about the guitar, and about the relationship of the form with the instrument. There can be an accepted axiom that the sonata form has been obsolete over the last century. The sonata derives so inherently from tonal processes that the break-down of tonal procedures in the 20th century rendered the idea of the sonata obsolete if not suspect. Another axiom I have seen from time to time is the proposal that the sonata form became obsolete before the guitar had fully developed as a vehicle for art music and that, in any case, the instrument's significant limitations render the possibilities of exploring sonata form as a composing idiom for the instrument utterly moot. I regard both these axioms as completely wrong. It's not as though the novel that emerged in the late 18th century became obsolete. Earlier this year I had the pleasure of watching Whit Stillman's adaptation of Jane Austen's Lady Susan. If novels written two centuries ago can still be adapted into film why would we be so sure that sonata form is obsolete because entrenched academic cultures in the contemporary West are full of professors who would rather say that sonata form is a historic and obsolete form than to suggest that it should be theoretically possible to compose a sonata or a fugue drawing from the musical idioms of popular or vernacular styles such as Delta blues or ragtime rather than Austrian or Czech folk songs. But to be able to say this is a possibility it would be necessary to more deeply understand the syntax and conceptual boundaries of sonata as a thought process rather than a modular paint-by-numbers "form"; it would require us to embrace a view of sonata as a thought process comparably flexible in possibility to the fugue, another musical idiom that has been ill-served by academic attempts at preserving in amber a 19th century ideal over against 18th century practice. The value, in particular, of Hepokoski & Darcy's work has been to emphasize the diversity of sonata FORMS, that the five types are general guidelines for expositional and recapitulatory possibilities. Guitarists can draw two potential inferences from the work that has been done to correct or expand our understanding of sonata forms with respect to the guitar. We can better present the beauty of our instrument's literature if we shed any inferiority complex about how Sor or Giuliani or Matiegka wrote cut-rate sonata forms because they made use of incomplete or truncated recapitulations. First, when scholarly work in the last twenty years started to demonstrate that this kind of incomplete recapitulation was more normal than textbooks for undergraduates had let on it opened up the possibility of granting that it was not that guitarists weren't "good enough" to "master" the "real" sonata form; it was that the guitarist composers of the early 19th century tended to resort, for reasons any practical practicing guitarist can understand, to what we could call "shortcuts" within sonata forms that, if not as ideal by the ideals of 19th century German idealists, were well within the norms available to the pretty not-German guitarist composers at the dawn of the 19th century who did not regard these options as obsolete. Second, even within the relatively small number of (at most) moderately well-known solo guitar sonatas from the early 19th century masters of the instrument, we'll observe sonata forms in F major and E flat major. That Sor and Diabelli wrote sonata forms in such remote and demanding key signatures should disabuse guitarists the world over of the idea that somehow the guitar isn't "suited" to sonata forms. It clearly was, is, and can be for as long as musicians want to try writing sonatas. Basically the format for this week is I plan to have a blog post for each sonata movement I intend to discuss and the chapters will be doled out according to the day of the week. So tomorrow we'll be looking at Diabelli; on Tuesday will be looking at Molitor; on Wednesday we'll look at Matiegka (personal favorite); on Thursday we'll look at Giuliani; and then for Friday night we'll kick off the weekend with Sor.